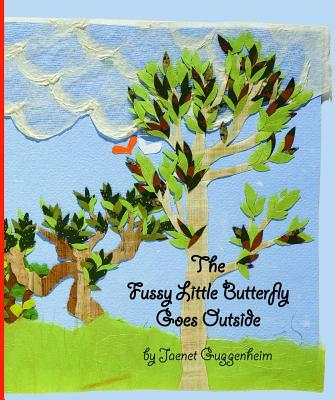 This is the second butterfly book by the author/illustrator of Herman and Poppy Go Singing in the Hills. Butterflies are even more interesting. You can order them online. The caterpillars will arrive in a box. Once they hatch from the caterpillar stage, you will have a butterfly. What will you feed it? The answer in this case is maple syrup. Now that the butterfly is fed, it might want to exercise its wings. After flying around the house for a few days, it might want to go outside. That was a bit of a problem for this butterfly She was afraid to go outside However, her friend told her she would be right behind her and that gave the little butterfly enough courage to try. The world outside was truly wonderful. The illustrations are decoupage, cut paper and glue. The text is suitable for reading to the very young, and they will want to read it to you. The butterfly is beautifully drawn against many different backgrounds that reflect the moods of the butterfly as it explores is new surroundings.